Public Health Agency of Canada, more than half of all injuries among Canadians 65 years and older are attributed to falls. In fact, one third of the senior population takes a fall each year. For many of them, it won’t be the first time. Among seniors, nearly 60% of emergency department visits and nearly 80% of hospitalizations due to injury were caused by a fall. The consequences of a fall can be devastating; 40% of seniors who fall fracture their hips. Half of those who do will never regain full mobility. Falls are the leading cause of hip fractures and traumatic brain injuries among the elderly. Both injuries require long, expensive hospital stays, and significantly reduce one’s quality of life. Seniors who fall are often robbed of their independence; 40% of nursing home admissions are due to a fall. For others, the consequences are fatal; 20% of seniors who die due to injury experienced a fall. 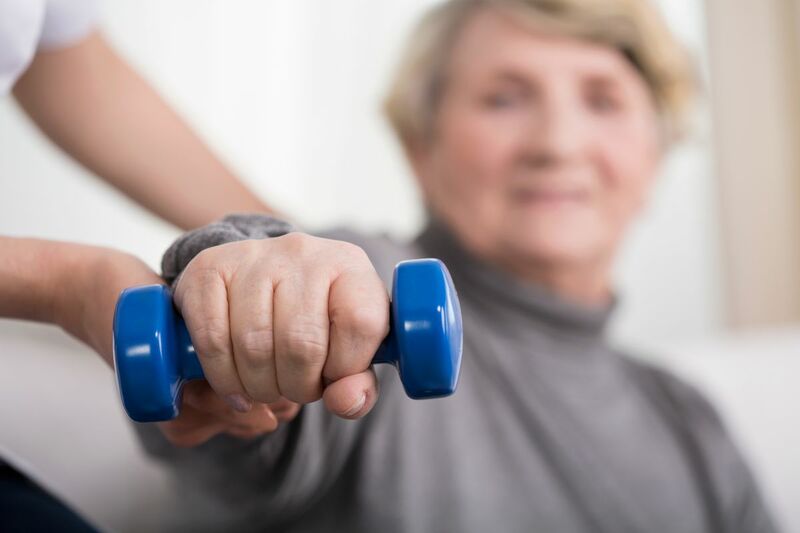 Even when seniors suffer a fall that might be considered minor, the initial fall often leads to a decline in health or an intense fear of falling that hampers their ability to enjoy an active lifestyle. The risk of falling can’t be eliminated. It can be significantly reduced. Consider seven steps you can help seniors in your family and community take to minimize the likelihood of a fall. Our strength and sense of balance wane as we age. The loss of both is frequently a contributing factor when seniors fall. Low impact exercises, like yoga, water aerobics and Tai Chi, can help the elderly regain leg strength and increase balance and coordination. 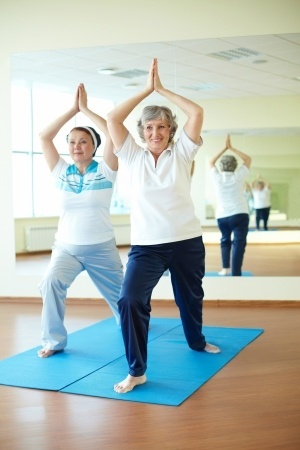 Seniors who are physically active reduce the chance of falling and injuring themselves. High heels, flip flops, and slip-on shoes can cause one to trip, fall or injure an ankle. Seniors should also avoid walking in shoes with slick soles or their bare or stocking feet. Doing so can cause one to slip on hard, slick surfaces, like hardwood or tiled floors. To provide the best grip and stable footing, flat or low-heeled shoes with a non-skid sole should be worn both indoors and out. Elderly adults often take a variety of medications. Many medications—alone or in combination with others—have side effects like drowsiness or sudden dizziness. Either could increase the probability of a fall. Seniors should compile a list of all prescribed and over-the-counter medications and supplements taken and have their doctor review the list to determine whether any of their current medications could prompt a fall. Substitutions or adjustments may be necessary to decrease the danger of falling. This is also a good time for a frank discussion about health issues that could cause a fall, like light headedness, stiff, achy joints or shortness of breath. Once the underlying cause is determined, an effective treatment plan can be recommended. The eyesight declines with age, making it more difficult to maneuver around the house safely without corrective eyewear. Seniors should have their vision checked annually to keep vision as sharp as possible. Keep eyewear prescriptions current and wear corrective lenses, as prescribed. The longer we live, the more stuff we accumulate. With a finite amount of space in their homes and garages, seniors may find that their living spaces have become crammed with furniture and other items. However, a cluttered living space increases the risk of tripping and falling in the home, where half of all falls occur among seniors. Keep walkways, hallways and stairs clear of shoes, books, clothing, stacks of magazines or anything that may impede safe movement. Extension cords and throw rugs also pose tripping hazards. Extension cords should never be run across an open walkway. Instead they should be secured along the wall or behind furniture. Throw rugs should be eliminated or secured in place, especially on hard surfaces. Use mats with a non-slip rubber backing or secure throw rugs in place with double-sided tape. Stairs can be treacherous for the elderly. To reduce the likelihood of a fall, install properly-secured handrails on all stairs inside and outside of the home. Improper lighting also leads to slips and falls. If current lighting is inadequate, install additional lighting on stairs and in other areas where tripping is likely. The slick surfaces in bathrooms can be tricky for the elderly to navigate. Install a handrail, a standing shower with a seat or a walk-in tub to reduce the chance of falling while entering or exiting the bathtub.Non-slip bathtub and shower mats provide added safety. Snowy Toronto winters pose an additional threat to seniors who must travel to the grocery store or doctor’s office, despite icy conditions. To minimize the risk of falls during the winter, shoes with smooth plastic or leather soles should be avoided. Footwear with rubber or neoprene soles and ample tread provides needed traction on slick surfaces. If a cane or walker is used, the rubber tips should be examined to ensure that they’re in good shape. If the surface is worn and slick, it should be replaced. It’s best to stick to sidewalks and driveways that have been treated with sand or salt, but sometimes icy surfaces can’t be avoided. On wet or icy ground, shorter strides should be taken. Before entering buildings, the soles of the shoes should be dried on a floor mat. Lastly, allowing adequate travel time prevents rushing which could cause a fall. Falls can cause devastating injuries and a decline in the health and quality of life of seniors. Though falling becomes more probable as we age, many falls are preventable. Help the seniors in your life to be proactive about taking steps to avoid a fall, so that they can live an active lifestyle and retain their independence.